Placing an elderly parent or spouse in a nursing home is a wrenching decision. Family members are especially heartbroken and guilt-ridden when it turns out later that a loved one was injured, abused or neglected at an elder care facility. The sad reality is that many nursing homes are more like warehouses than care centers. If your loved one died or suffered harm from nursing home negligence or neglect, contact the law firm of Bracamontes & Vlasak, P.C., in San Francisco. Our attorneys have a strong record of holding the owners and administrators accountable for substandard care and inhumane treatment. Unfortunately, the truth of California’s nursing home industry is a pattern of underfunded facilities whose personnel are often unqualified, uncaring or outright abusive to the elderly residents. Those employees who do speak up are often terminated. Bedsores are painful and prone to serious infection. Many elderly patients never recover from broken hips or bone fractures. Malnourishment or even emotional abuse can trigger health problems or hasten death. In many cases, patient injuries go unreported and their complaints are ignored or ridiculed. Our intervention can stop the abuse and improve your loved one’s care and quality of life. Furthermore, the nursing home may be liable for triple damages under California’s elder abuse statutes. We have obtained settlements and jury awards to compensate clients for their medical care, lasting injury, and physical and emotional pain and suffering. 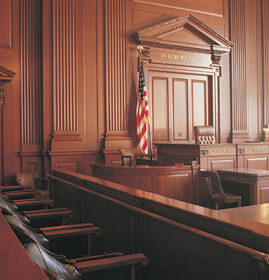 Our lawyers prepare for trial by taking depositions of workers, visitors and other patients who may have seen things; investigating prior lawsuits and health code violations; obtaining patient charts and injury reports; and examining the facility’s hiring, training and staffing practices. The legal team at Bracamontes & Vlasak shares your anger and sorrow that this could happen. If your loved one has unexplained injuries or you suspect mistreatment, contact BV Law today for a free consultation regarding potential legal action for nursing home abuse and neglect. We are also available by phone at 415.835.6777.